Literally DROPs Ruger 10/22 Magazines with the press of your trigger finger or thumb. Magazines actually FALL out of the magazine well when you press on the Mag Dropper magazine release lever. Its a logical concept and an elegant design. Compare that to the two-handed dig, grasp, and press routine you have to do with the factory mag release. 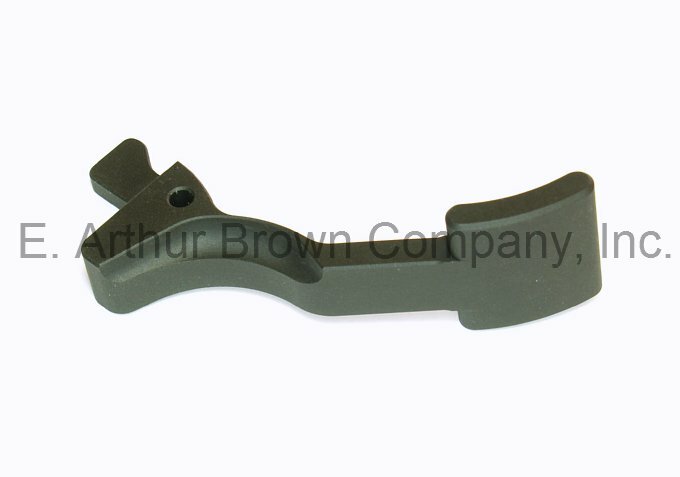 The lever action approach to the Ruger 10/22 magazine release was originated by Tactical Solutions several years ago. Our Mag Dropper™ takes the concept a step further by shortening the lever slightly, and incorporating a "paddle" into the end of it. The paddle is wider than the trigger guard and positioned right below your trigger finger. You can reach and press the paddle effortlessly with a simple downward motion of your trigger finger. Installation is Easy: With the 10/22 Barreled Receiver removed from the stock, push out the pin that holds the original factory mag release. 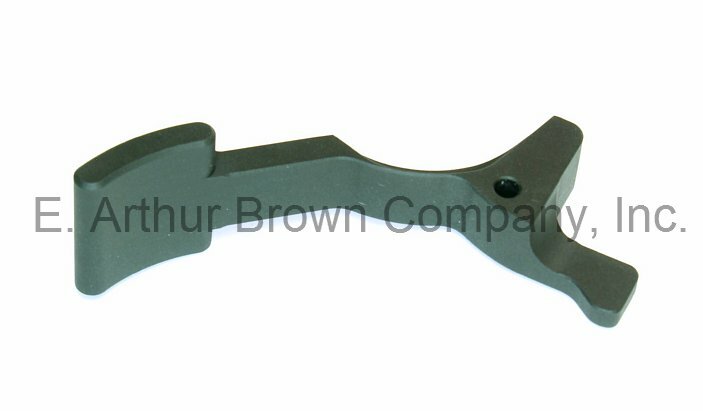 Replace it with our Ruger 10/22 Mag Dropper mag release and re-insert the pin. 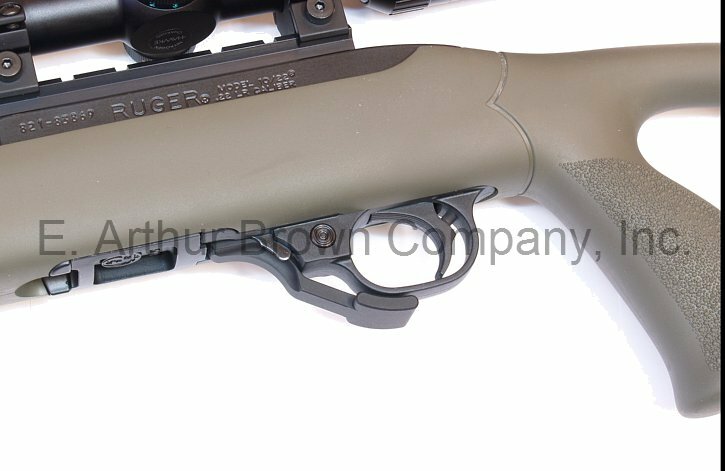 "Ruger" and "10/22" are trademarks of Sturm, Ruger & Co., Inc.
"Mag Dropper" is a trademark of E. Arthur Brown Company, Inc. I recently purchased the Mag Dropper Magazine Release and couldn’t be happier! You need this for your 10/22! OK, I was a bit hesitant because I neglected to think about all the time I spent coaxing 10rd magazines from stock 10/22's. I picked up a new 10/22 carbine the other day, and after day 1 at the range I decided it needed two things - A Ruger BX trigger, and an automatic bolt release like the Rack and Roll. As I was checking out with the BX trigger (another great improvement, by the way) I came across the Mag Dropper. I figured for the intro price, and since I was going to have it all apart anyway, what the heck. This may be my favorite upgrade. It took less than 10min to do the installation of all three parts, and the only tools you need are a couple of Allen wrenches to remove the barreled action from the stock, and something to gently push out some pins. If you are doing any other improvements (like the Rack and Roll), replacing the magazine release takes less than 30 seconds of additional time. Anyway, after pulling the stock release out and putting this one in, I completed the re-assembly and checked all the functions. As some have said, when you press down on the mag dropper, the little 10rd box rotary magazine now shoots out of the well. No hang up, no snag, and you can do it very naturally with your trigger finger (just press downward on the release). My only regret is I didn't by enough for all my 10/22's to do them all at once. 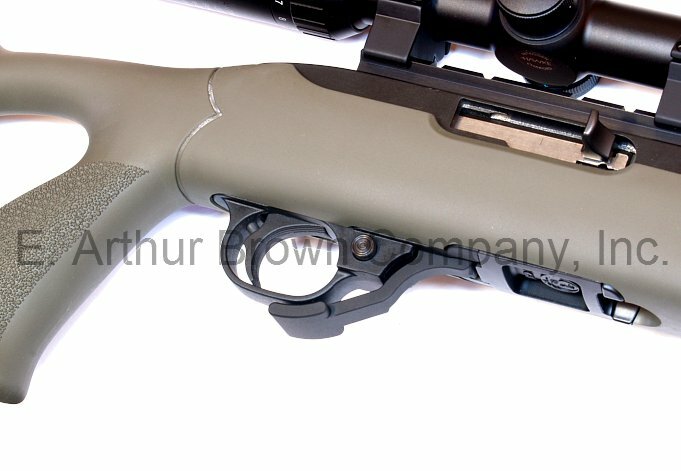 In my opinion, this is a MUST BUY accessory to get the most enjoyment out of your 10/22, and at the current intro price, it is an absolute bargain! This extended mag release really works! Very simple to install. I have a stock 10/22 and got tired of fumbling with both hands at the bench to change 10-rd mags. Installed the Mag Dropper and with a slight push of the paddle the magazine pops out like it was spring loaded. I like that it is just long enough to allow operation with the trigger finger without changing my grip on the stock. Excellent addition to my 10/22 which I have converted to an M1 carbine stock. Works so much better then the stock mag release. Great price Easy <5min install Works VERY well Great quality! Only draw back is that it work so well that the rifle is no longer suited for hunting. Mag drops so freely that the only thing you hear the mag hitting the ground. Excellent fit, light material, easy to use and works the way it should. The easiest thing to install. I highly recommend it. I bought the first one as a trail on my Ruger Charger that I use for silhouette competition. I really like the paddle shape that permits ambidextrous operations with either a thumb, or index finger. So I bought two more and now all my 10/22's have this inexpensive finely crafted device attached. The price is great, it's fit is superb, and lastly - buy one or more for yourself! This is my magical mag release. Together with changes to the bolt release, I have the function on my 10/22 that I wanted, and don't have to settle for second best. This is an excellent product. I just opened the package this evening. The install is very simple. One screw to release the stock and one pin to push out to swap the part. I really like the direct drop into my hand instead of digging out the flush fit magazine. I have a custom build 10/22 which included a pistol grip. I had installed a tactical mag release which was longer in length and did interfere with the placement of my middle finger on the grip. The Mag Dropper was the perfect length and the release does not interfere with my grip. I would purchase again for my next build. 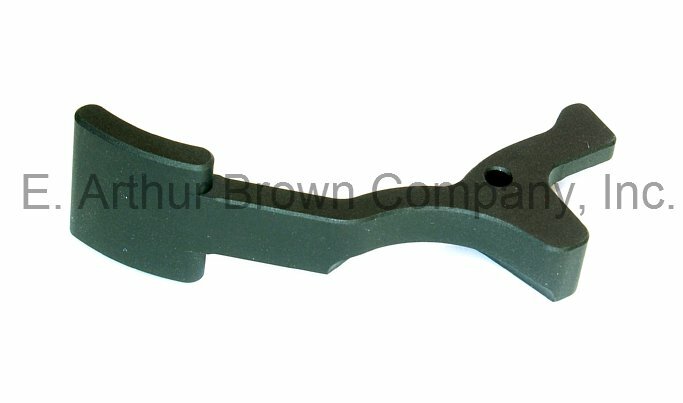 I purchased this item for my Ruger 10/22 to replace the stock hard to work with magazine release. The installation is easy and quick. 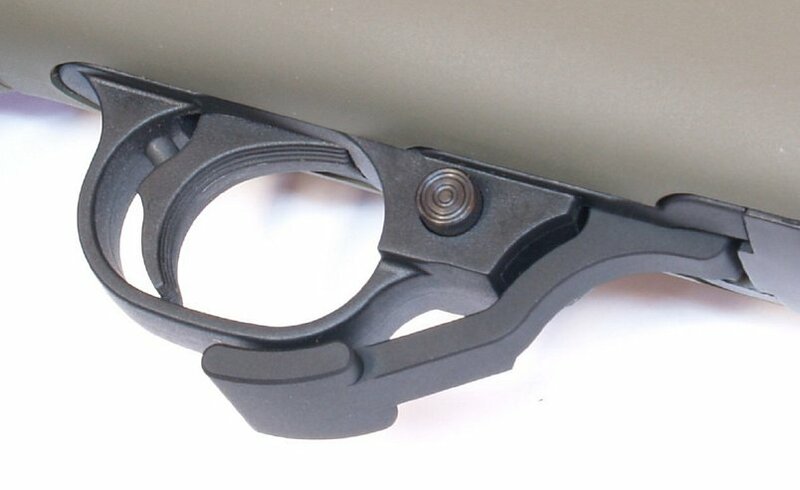 The great part of about it is that it is not in the way, but does provide an excellent paddle push lever so that it is ambidextrous making it easy to release the magazine which drops free. 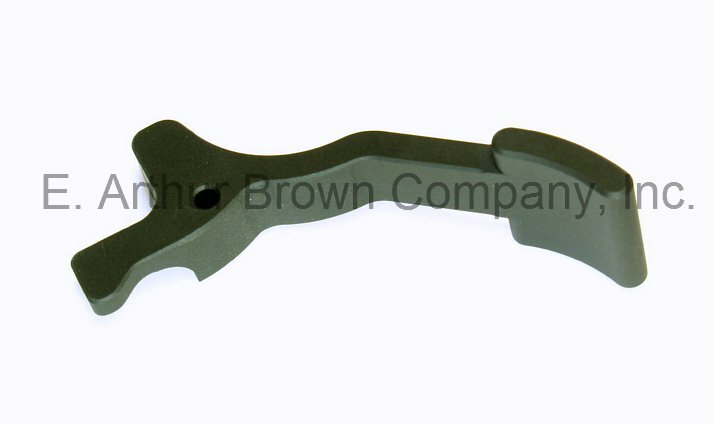 This is a great accessory for anyone who uses the 10/22 and wants to make their life easier with a small investment into their rifle. Works great. Mags drop right out with no fumbling for the release button. Easy install. Highly recommend.